Most packaged fruit juice are so heavily processed that it would be undrinkable if not for the addition of an unlisted ingredient called flavour packs. It becomes undrinkable when juice is extracted and stored in very big vats, and oxygen is removed. Removing oxygen from the juice allows it to stay for up to a year without spoiling but removing oxygen also removes the natural flavours. So, in order to have packaged fruit juice drinkabke and actually taste like fruits or its real juice companies hire flavour and fragrance companies, the same ones who formulate perfumes, to make flavour packs to add back to the juice to make it taste fresh. Flavour packs which isn’t remotely fresh aren’t listed as an ingredient on the label because technically they are derived from orange essence and oil. These flavour pack give the packaged juice or a particular brand the same taste. 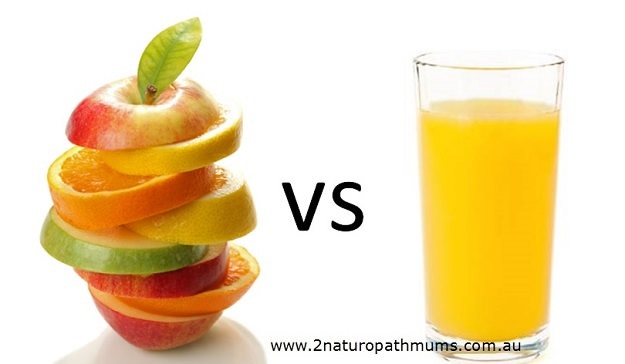 Ever wondered why there are slight variations in the real fruits but packaged juice has a distinct general taste. Or why it’s a particular colour not similar to the real fruit juice. Heating the juice and extracting oxygen removes the essential nutrients of the fruit. There are many benefits of choosing fresh fruits over any packaged fruit juice. Fresh fruits have more anti-oxidants such as flavonoids and vitamin C. Packaged fruit juice elevates blood sugar more quickly than fruits, because it contains more sugar and cause weight gain in the long run. Packaged fruit juice also lacks fiber which is present in fresh fruit. The best way to enjoy what a fruit has to offer is to eat it!